After reviewing a pool of 231 nominees, the nineteen winners you will see tonight represent some of the inspiring, important, and transformative work being done across the state. The inaugural Youth Awards winners havte excelled in criteria that The California Endowment values as we pursue our mission: leadership, innovation, sustainability, and impact to build healthier communities, and a healthier California. 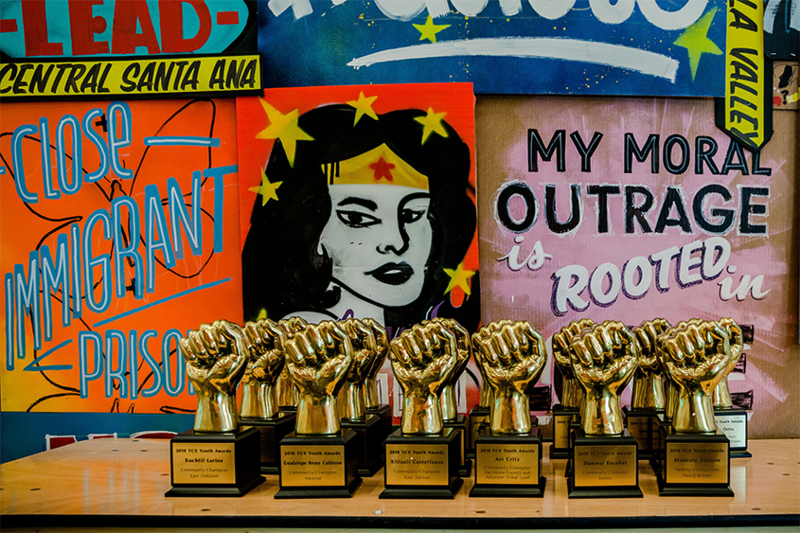 This year, the Youth Awards will recognize a diverse set of seventeen young ground breakers and two youth-led organizations. Since announcing our winners in August, it has been our privilege to learn more about each winner, their work, and their impact on their communities as well as the state of California. We are gratefulto have them here with us tonight, and we are excited to follow their journeys as activists, organizers, and change-makers. Click here to learn more about all of the 2018 Youth Awards winners! Watch the video below to relive the inaugural Youth Awards festival and ceremony! Thank you! Don’t forget to nominate the young change-makers in your community before our deadline: June 8th. The California Endowment’s mission is to expand access to affordable, quality health care for underserved individuals and communities and to promote fundamental improvements in the health status of all Californians. The California Endowment (TCE) Youth Awards will celebrate young leaders across the state who embody the qualities of the California Endowment through community engagement and social service. The TCE Youth Awards will be a first-of-its-kind event, celebrating the long-standing efforts and achievements of youth and youth groups throughout California. Copyright 2018 The California Endowment Youth Awards | All Right Reserved.